It was Albert Einstein that stated, “why do I always get my best ideas in the shower?” Simply put, this means that we must sometimes remove ourselves from the immediate situation, relax and talk or think it through objectively. Thank you, Mr. Einstein! This is exactly what we did on one clear summers night, deep in the Limpopo bush, nestled around a campfire with the sound of a glorious waterfall rushing in the background. 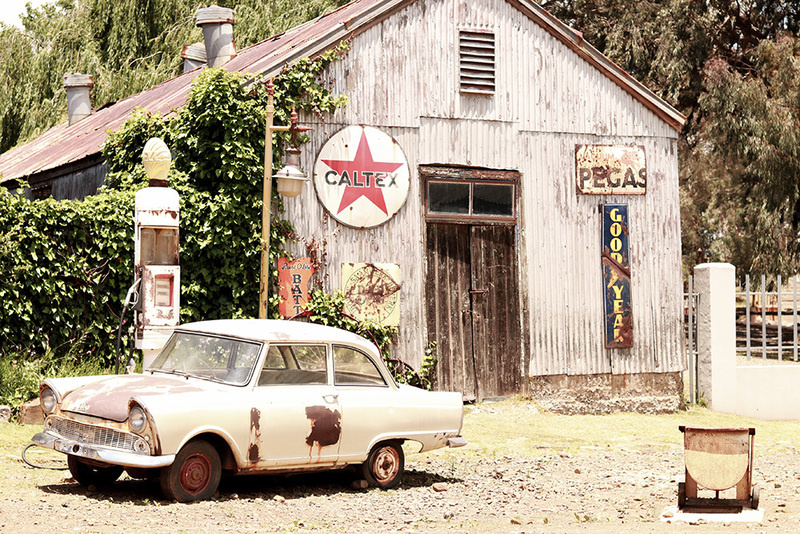 The setting was idyllic, but the cost of getting there was a less peaceful story. 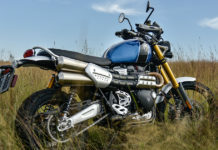 It was the second consecutive trip of this sort where one or more members of our travelling party had sustained costly damage to their high end, big bore, twin cylinder adventure bikes. The way we like to ride sometimes just does not suit these big brutes. This was the birth of what we like to call “The Singles Club”. We have raised many an eyebrow in our attempt to explain the title. 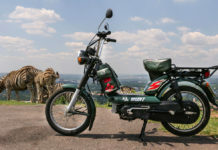 Off course Singles refer to the use of single cylinder, medium capacity Scrambler type motorcycles, that can go just about anywhere. 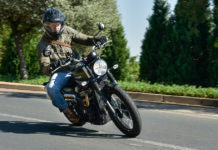 Cobus Bekker and his lovely wife Ilse enrolled in the “Introduction to motorcycling” course at the BMW Riding Academy a little over two years ago. I was their instructor on the day and we have since become close friends. Cobus Bekker and the author contemplating the road ahead…. Soon afterwards, Cobus acquired a beautiful, 30th year limited edition BMW R1200GS Adventure for himself and a BMW G650X-Country for Ilse. The light switched on and Cobus started consulting more and more about my travels. A country boy and farm owner in the true sense of the word, Cobus loves the outdoors and has extensive 4×4 experience. Among many strengths, Cobus is an excellent navigator and good organiser. He has situational awareness that I admire. We soon embarked on our maiden voyage which was, to say the least a monster challenge. Cobus realised that adventure biking had unique challenges, yet ecstatic reward when done right. 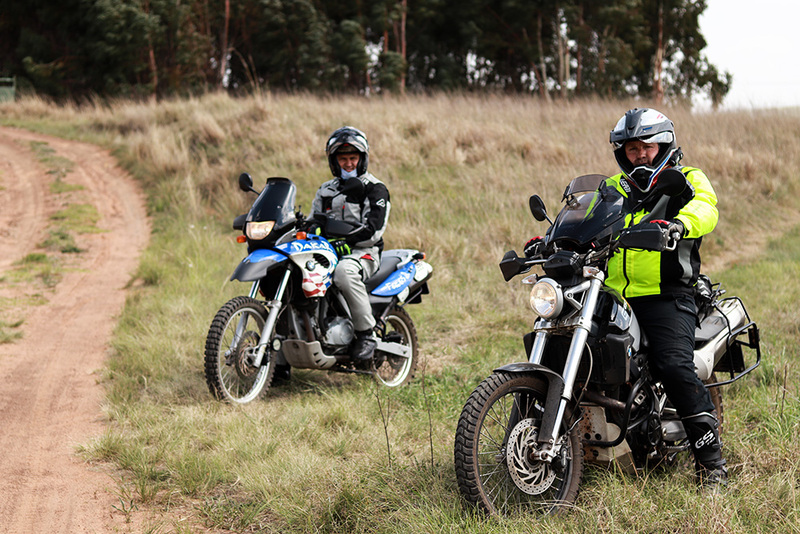 He soon bought a BMW G650X-Country Single, like Ilse’s for our more extreme travels and has not regretted this choice. The horse whisperer…. 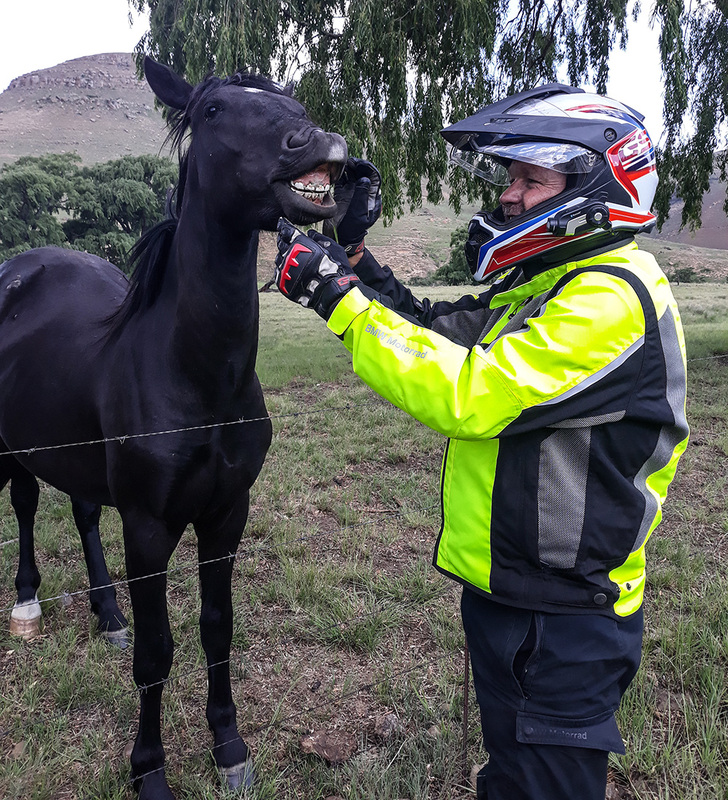 Cobus and horse share a joke! 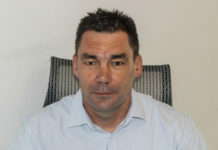 The second member of our team is Hennie Olivier. 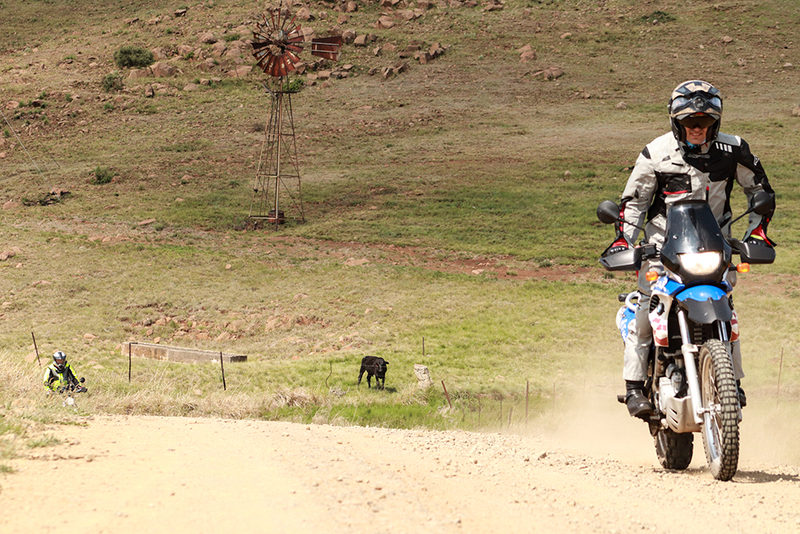 Hennie and I became close friends when we did an Eastern Cape mountain pass challenge together. We ended up traversing 16 of the most scenic and challenging mountain passes that this province has to offer in the space of only two days. We did this in the heart of winter and it was an unforgettable experience. Hennie is an extreme cyclist and multiple Cape Epic finisher. We call him the “Replay Chappy” as he can just keep on going in the face of severe adversity. My kind of travelling companion, Hennie always has time for a quick joke or quirky video interview. He is well travelled and has lots of experience. 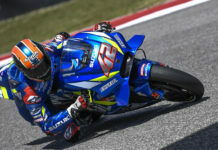 Yamaha DNA stored so deep in his body, that no antidote or cure has yet been found. 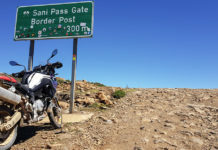 Owner of two Yamaha XT1200Z Super Tenere motorcycles, Hennie also acquired himself an XT 660Z Tenere Single for our more extreme adventures. A simpler life of sunshine and fresh air…. 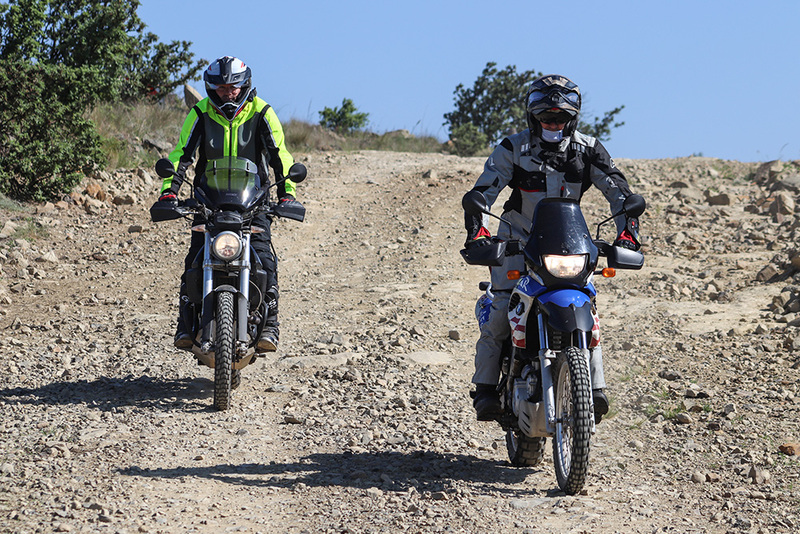 For this kind of travel, I decided on a BMW F650GS Dakar. 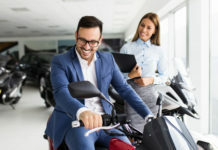 For many years, this was the top selling motorcycle in its segment and prompted firms like Kawasaki and Suzuki to re-launch their archaic singles in a bid for market share. 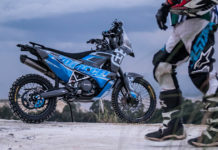 The Dakar has good carrying capacity, excellent fuel consumption and good range. The suspension gives a plush ride and there is ample torque for technical riding. 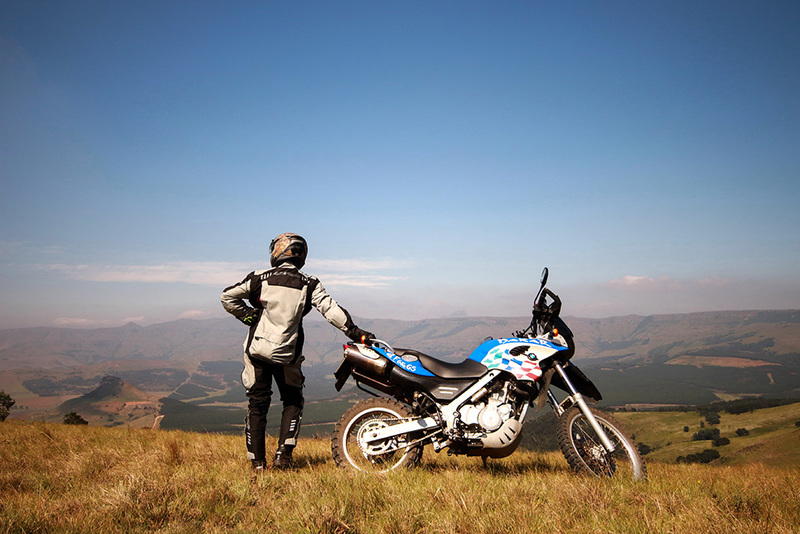 For our latest Adventure, we decided on the theme of Normandien Pass in KwaZulu Natal. 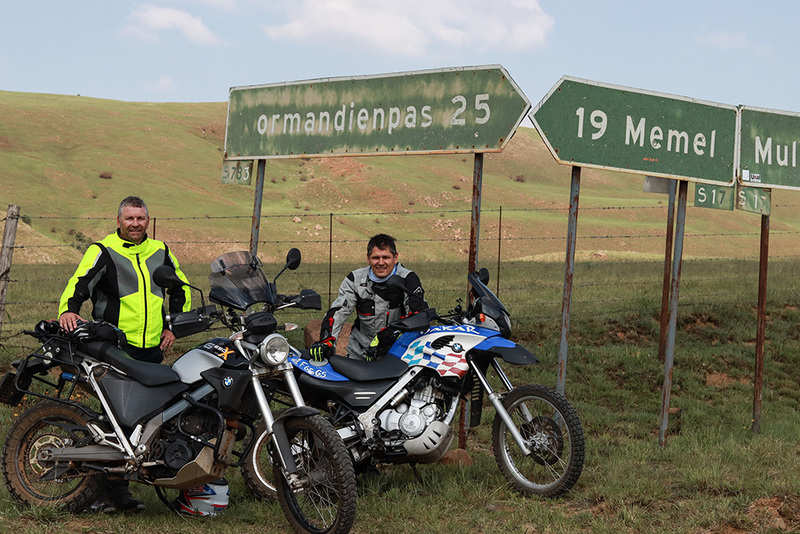 The plan was to travel from my home in Centurion through Memel in the Eastern Free State, to Normandien Pass in KwaZulu Natal. 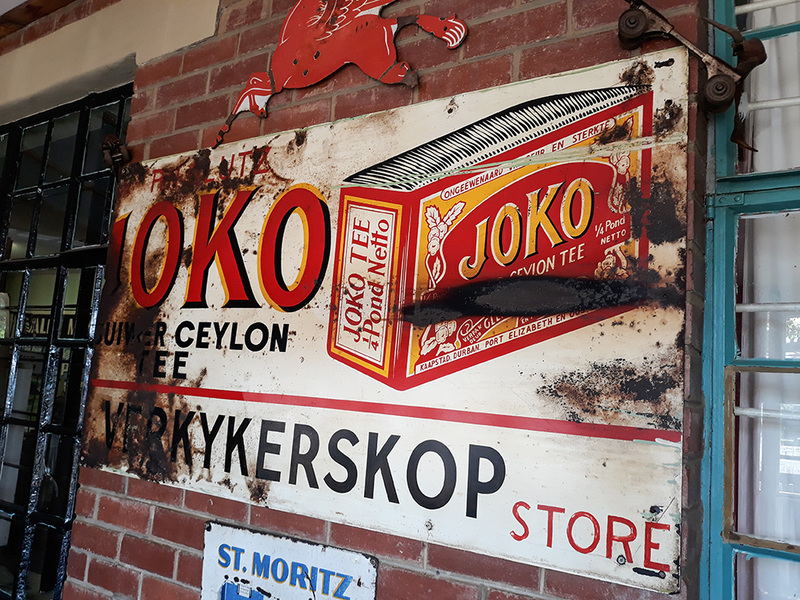 We would then travel to Verkykerskop and surrounds, before heading back to KwaZulu Natal and my favourite Inn, located in the small village of Van Reenen, but more about this later. With lots of daylight hours still to burn, we reach the tranquil farming town of Memel, which has become quite popular with travellers in the last 15 odd years. It reminds me of times much simpler, with friendly people and colonial buildings gracing the streets. We would see a lot more of this in the days ahead, as we travel back through time. We did not tarry here for too long, as there was lots more to discover before dark. Part of my travelling success is the fact that I am a good observer and like to live in the moment. I gather notes in my head for my next visit to Memel, as there is an old army acquaintance farming in the area that I had not seen for thirty years. I would like to pay him a surprise visit in the near future. That could prove to be very interesting. The beauty of travel is that the more you see, the more you realise how little you actually know. Onwards to Normandien Pass, more than 1900 meters above sea level and the beauty as was expected. 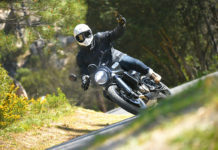 We enjoy the leisurely ride immensely and there is little need to concentrate on anything but the green rolling hills. For this trip Hennie could not join us, due to professional commitments, so we decided to call on the help of two young gentlemen and a backup vehicle. It also helped that both Christof Bekker and Theo Pistorius has a keen eye for photography. A luxury I am seldom afforded on my travels. So we found a beautiful vista on top of Normandien Pass and decided to pitch our tent on the spot. The view was simply breathtaking as we watched the sun set on this memorable day. Needless to say, the wind on top of the pass kept us occupied until the early morning hours. This kind of weather is often encountered on high mountain ranges and one is advised to factor this in before setting up camp. 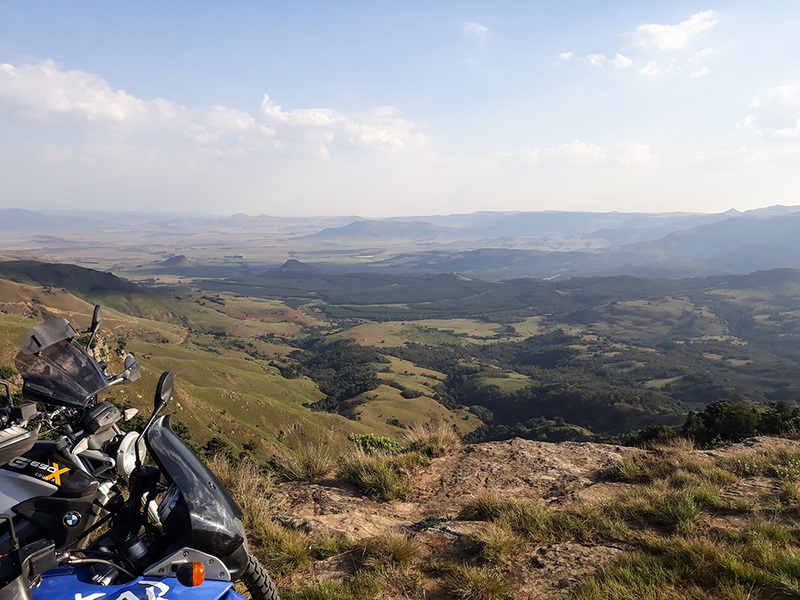 Another glorious day awaited us, as we packed up and headed back over Normandien’s towards the sleepy village of Verkykerskop (loosely translated as “spy hill”), somewhere in the Free State Province. This charming little place is rumoured to have about twenty residents. We located the local diner and spent hours laughing, listening and observing. This was an unexpected surprise and this little place will certainly see us again. Our final stop for the day was The Green Lantern Inn, situated in the small town of Van Reenen. What was historically a railway town, has since turned into more of a tourist attraction after the railway system collapsed in the mid 90’s. This little town is also home to Llandaff Oratory, which is a privately owned 8 seat Roman Catholic church built in 1925 by Maynard Matthews. The aggrieved father built this church in memory of his son Llandaff who died while saving 8 lives during the Burnside Colliery disaster. These little gems abide all over South Africa and we simply have to afford ourselves the opportunity to take “the road less travelled”. None of my three travelling guests had ever been to the Green Lantern Inn before. I enjoyed watching them walk through the doors and back in time as they gazed on old artifacts, creaking wooden floors dignified by the most pleasing old furniture. On the farside wall one can watch silent movies that date from the 1920’s. Guests grace these comfortable chairs with book in hand or good companionship. 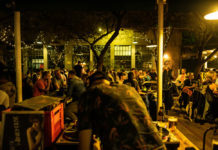 The staff here is warm hearted and happy hour becomes quite a treat in the adjoining pub. This is the local hang out and soon an old friend graces us with her presence. 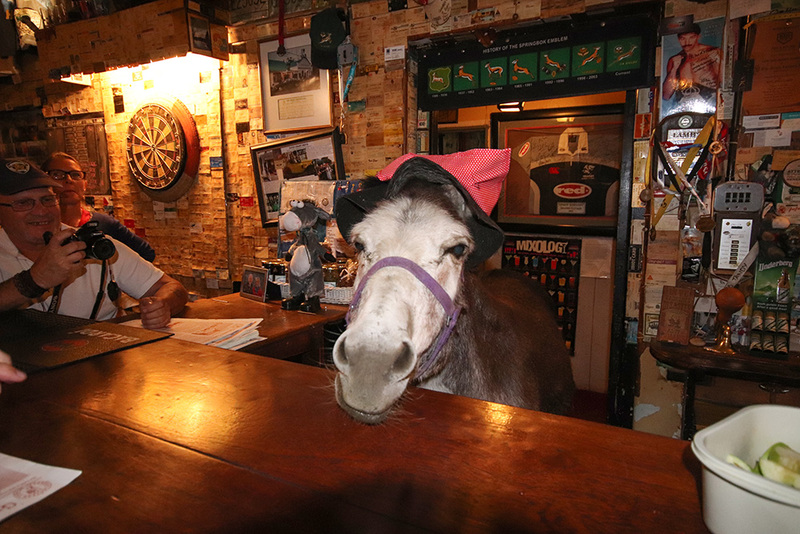 Meet Bo-Jangles, a particularly social donkey appears from behind the counter, complete with hat on head. She is the local flavour. Guests get to feed her fruit and sweets in turn for her good company. She lingers around for a few minutes until she gets bored and leaves on her own terms, in her own time. She is one of the well kept secrets here and always a treat to see. After exchanging pleasantries with the locals, we move over to the dining room where one can feast on lamb curry, oxtail and other native specialities. We reminisce our experiences around some fine cuisine and share some more laughter. After an evening well spent consorting, mingling and more, each retire to his old fashioned hotel room for a well deserved, good nights’ rest before the open road calls again. On the final morning we had a delicious breakfast, discussing the last leg back home to old smokey and beyond. Sitting on the N3 highway at the leisurely national speed limit, I compose my thoughts. I remind myself how easy it is to envision and structure such a weekend breakaway. It all lies in taking the decision to go out and live. Having had this discussion with so many, it still amazes me how some disqualify themselves from living the life, presenting menial and worn out excuses. The resources needed is least of the reasons not to go out and discover. Sometimes a good life is just one decision away. Thereafter, a cultivated mindset that moves us into the freedom zone inch by inch. 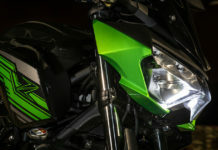 Next articleIntroducing ZA Bikers Marketplace!